It does so primarily in two ways: researching diseases and their cures, and informing the public about its findings. For example, you might remember CDC’s role in warning citizens about the zika virus in 2015. Soon, however, when you get information from CDC, a few words might be missing. Reportedly, senior officials within the Department of Health and Human Services recently decreed that CDC and other HHS agencies are forbidden from using 7 words in their official budget documents. What does it mean when words become non-words? As anyone who’s read George Orwell’s 1984 knows, it’s an attempt by those in power to impose control. They know something I’ve known throughout my writing career: words matter. A lot. By changing the words in the conversation, do the people in charge at HHS think they can change reality? No. I don’t believe they’re that foolish. Not all of them anyway. They can’t change reality, but they can change the way in which reality is discussed. If they change the terms of the discussion, they can influence the way people think. When nothing can be described as evidence-based or science-based, there’s no longer a need to question a finding that’s unsupported by evidence. When transgender is stripped from the vocabulary, they can more easily dismiss the health needs of thousands of our fellow ci.tizens. When they stop saying vulnerable, it’s easier for them to overlook human beings who are vulnerable and who need help. It brings to mind what happened in Florida a few years ago. The state’s Department of Environmental Protection ordered its staff not to use the terms climate change and global warming in any official communications, emails, or reports. But the nabobs in the Department of Environmental Protection, even as the bottoms of their trousers get soaked, need not trouble themselves with the thought that this is anything more than a random natural phenomenon. There’s a lot at stake here. Although it’s tempting to smirk and roll our eyes, we mustn’t dismiss this as mere bureaucratic foolery. Instead, we need to call it out for what it is: an attempt by those in power to impose control. Be wary of gaslighting — of any attempt to change the way reality is perceived. Don’t let Why don’t we talk about x any more? turn into X never happened. All of us share a duty to know the truth and hold fast to it. Finally, even if HHS won’t use those words, by golly we can use them. And we should. Question what this government tells you — and don’t be afraid to answer back, What about the vulnerable ones? What scientific evidence do you have for this? Never let them forget that words matter. This entry was posted in Media and technology, Society, Technical communication and tagged CDC, censorship, climate change, Florida, gaslighting, George Carlin, words on December 18, 2017 by Larry Kunz. Back in 1946 an unnamed editor at the Saturday Evening Post had a bone to pick with the then-current Second Edition of Webster’s New International Dictionary. Specifically, he (given the era and the medium, the editor most likely was a he) was worked up because the dictionary would present all of the various definitions for a word without sufficiently distinguishing the generally accepted ones from the offbeat or archaic ones. Is There a Lexicographer in the House? This magazine, and every other magazine, we suppose, has frequent recourse to a dictionary for enlightenment on the proper usage of words that crop up in manuscripts. As we are an American publication employing what is called the American language, we use an American dictionary. It is a big, fat, leather-bound volume, heavy enough to snap a man’s instep if it should fall off its stoutly contrived stand. It is also a big, fat fraud. In most instances, it is no more a guide to correct meaning than astrological writings and the prophecies of Nostradamus are guides to the future. Its scholarship, if such pack-rat hoarding of oddities can be called scholarship, is of the on-the-one-hand-and-on-the-other variety. Any meaning, no matter how far-fetched or archaic, can be justified by anyone willing to risk his eyesight on the small print. It doesn’t deserve the title of dictionary, although it is highly ranked in lexicographers’ circles; it is largely an anthology of word meanings and it serves only to compound confusion. The English language, from which our own derives, is an unusually lush language, and our English cousins try in a scholarly way to encourage a reasonably disciplined approach to it. The ungoverned tendency here in America is to admit every novelty with which frontier wits and modern saloon columnists have sought to dazzle their giddy readers. This seems to be as good a time as any for our lexicographers to get together and work toward some semblance of authority in their works. It is even conceivable that one courageous lexicographer with a sound background and a decent respect for the virility of the American language could cut away some of the spurious trimmings without injuring the tree. Is there such a lexicographer in the house? If not, our language stands in danger of growing so many sucker branches that we won’t be able to see the tree for the suckers. It’s entertaining to read the rant of a 1946 magazine editor. I’d like to go back in time and ask him what he meant by the virility of the American language. Whatever he meant, his plea for “a decent respect” for the language gets to the real purpose of dictionaries — especially for those of us who write and edit. I think that most writers and editors, and certainly most lexicographers, agree that dictionaries should describe how words are used rather than prescribing how they should be used. Yet merely describing, without making some judgment calls, isn’t helpful. Why is that? Well, why does a writer consult a dictionary? To ensure that the words we choose will communicate our intended meaning to our readers. That means we have to know, first, how our readers (our audience, in the parlance of technical writing) will understand the words, based on their backgrounds and their frame of mind. Are they academics? Farmers? Politicians? Are they more or less comfortable with new usage, with slang, with meanings that derive from popular culture? Then, second, we have to know the words themselves. This is where the dictionary comes in. It should be able to tell me whether the words I have in mind are going to connect with the readers I’m writing for. If it does, true communication is possible. If it doesn’t, then as a writer I’m simply throwing darts in the dark and hoping they hit something. Or worse, I’m a frontier wit seeking to dazzle my giddy readers. Please, no. Anything but that. Epilog: The editor, Sokolowsky notes, eventually got his wish, although he had to wait a while. Webster’s Third, published in 1961, was far more discriminating. In Sokolowsky’s words, it jettisoned the all-but-the-kitchen-sink approach — and that policy has continued to the present day. This entry was posted in Media and technology, Technical communication and tagged dictionary, meaning, Peter Sokolowsky, Saturday Evening Post, Webster's Second, words on July 11, 2017 by Larry Kunz. So said Peter Sokolowsky, a lexicographer for Merriam-Webster Dictionary, during an interview last week on CBS This Morning. A national conversation about language? I don’t recall that ever happening before. If you ask me, it couldn’t come at a better time. When the M-W Dictionary went online in 1996, Sokolowsky explained, it was the first time the dictionary’s curators could see what people were curious about. They’d never before been able to collect data about which words people were looking up. In the past couple of years we’ve become hyper-aware of fake news, alternative facts, and the ways people use words to twist reality — or accuse others of twisting reality. The watchers at M-W are doing their part: keeping close tabs on what people are looking up. When United Airlines sought volunteers to give up their seats and then had a passenger dragged off a plane, thousands of people went to the dictionary to look up the meaning of volunteer. Merriam-Webster’s Twitter account took note. This entry was posted in Media and technology, Society, Technical communication, Value and tagged Merriam-Webster, Peter Sokolowsky, propaganda, subversive, Twitter, words on April 25, 2017 by Larry Kunz. It isn’t the choice of individual words. It is the juxtaposition of words that achieves the effect. The art is not in the selection but in the arrangement, not in the vocabulary but in the story. Both Seth and Mark know their stuff. So, did they take me to school? Do I feel chastised? Ready to write a retraction? This entry was posted in Media and technology, Technical communication and tagged 2001, HAL, ich habe Angst, ingredients, Mark Baker, Seth Godin, story, turtle, words on April 18, 2017 by Larry Kunz. This English language of ours is devilishly tricky. 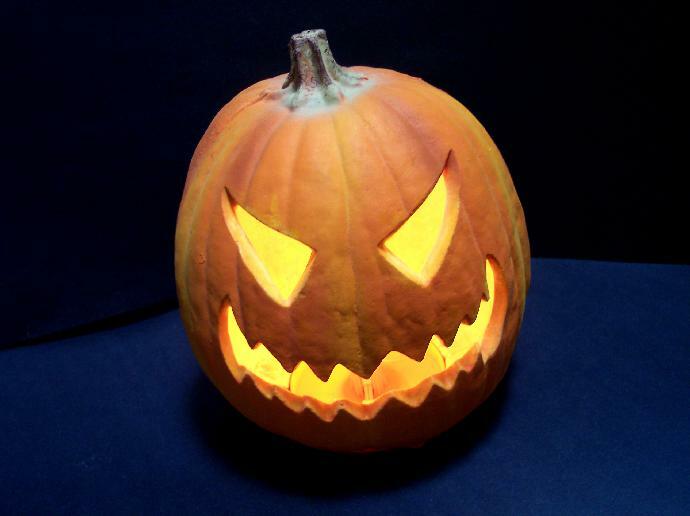 For your Halloween reading pleasure, here are five especially ghoulish word pairs. If you use these words properly, you’ll win the respect and admiration of careful writers everywhere. If you don’t, your readers — some of them, anyway — will shriek in terror. A new tact: Tack is what a yachtsman does to align a boat with the wind. Changing tack, or taking a new tack, sets the boat moving in a new direction. Taking a new tact simply doesn’t make sense. I can’t say it any more tactfully than that. Don’t jive with me: Jibe, another word that comes to us from the sea, means to bring things into agreement. If your position jibes with mine, then we’re cool. But if it jives with mine, then you’re just being phony. A rift on an old theme: I recently read a blog post in which another blogger was said to be rifting on a particular topic. A riff is a rhythmic phrase in music. A rift is a crack in the ground. Maybe the rifting blogger was making, um, wise cracks. Now hear this: When you like what somebody has said, and you want others in the audience to listen, the expression is hear, hear! If you write here, here, that won’t get you anywhere, anywhere. Honing in: When your focus narrows, do you home in or hone in? Do you come closer to home, or do you hone (sharpen) your sights? For my money, it’s home in — although much to my surprise, one of my favorite dictionaries, Wordnik, disagrees. So if you like to write hone in, I promise to keep my shrieking to a minimum. At this witching season, which other homonyms (or near homonyms) have you heard being used in ways that are ghoulish? This entry was posted in Technical communication and tagged ghoulish, Halloween, hone, jibe, jive, riff, rift, tack, tact, words on October 30, 2015 by Larry Kunz.